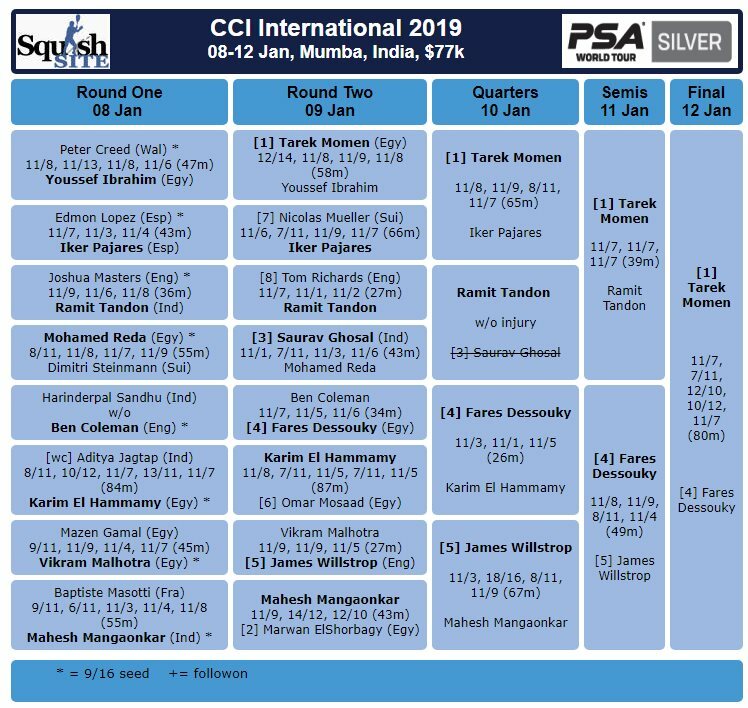 Top seed Tarek Momen prevailed in a five game all-Egyptian final against Fares Dessouky in Mumbai to become the 2019 CCI International Champion. where only two people get into a glass box, closed off from the world, and battle it out against each other. Almost always, there is also one favourite. But today? Perhaps not. 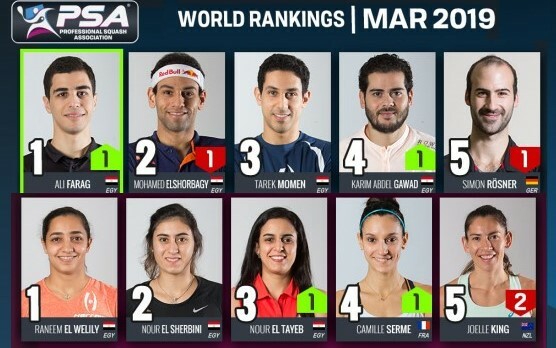 In its own way, the weighing scale was perfectly balanced: Tarek Momen on one side, and Fares Dessouky on the other. Fourteen months. 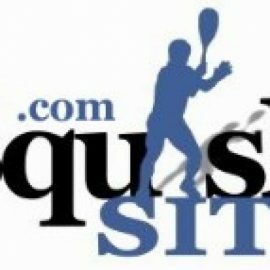 That’s how long it has been since Fares Dessouky has been out of action on the PSA World Tour. He had nothing to lose. At 24 years old, he stood calm and composed, happy to have earned his place in the final here at the Cricket Club of India in Mumbai. Comebacks are difficult, but Dessouky had made it look easy so far in this tournament. He looked like he hadn’t been on bed rest, like he hadn’t had to work his way back onto court, one tiny and frustrating step at a time. Momen, on the other hand, had showed that his superior experience was his best friend this past week. He had dealt with underdog after underdog, one tenacious and determined player after the other. 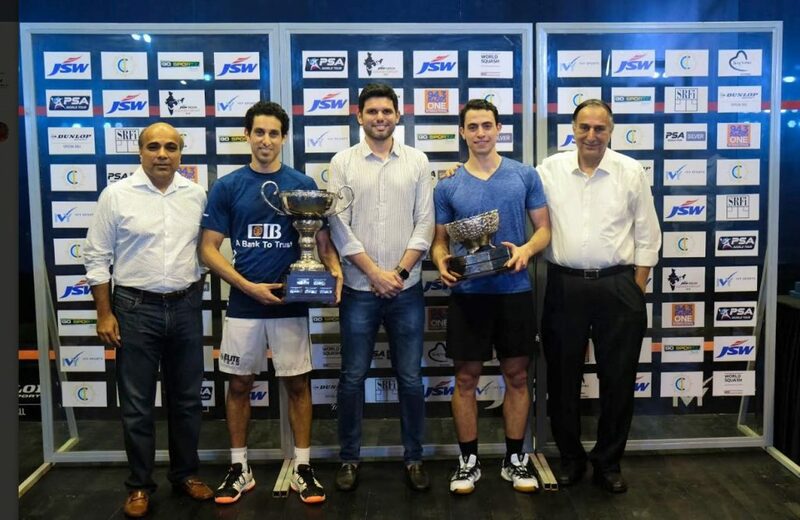 Youssef Ibrahim, Iker Pajares, Ramit Tandon… as rising players, they had thrown their absolute best at him. But Momen had absorbed the pressure, won the big points, and come through each match. So as the sun set and the court lit up, the crowd was restless. Going by the cheers, the audience was well balanced too, as some were for Momen and some were for Dessouky. So who would the winner be? The underdog and former World Number 8, or the current World Number 4? 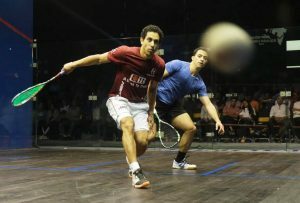 The first game began with Momen looking just a little more comfortable than Dessouky. He took the first game, 11-7, and came out of the court looking more determined than ever. In contrast, Dessouky looked cooler than ever. It seemed to have worked, because he came onto the second game and racked up a lead. Momen caught up as the game hit the halfway mark, but in vain. 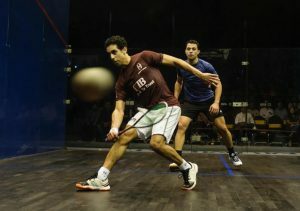 Dessouky returned the favour with a 7-11 win for himself. The third game: arguably the most crucial of them all. The crowd knew it and the players knew it. 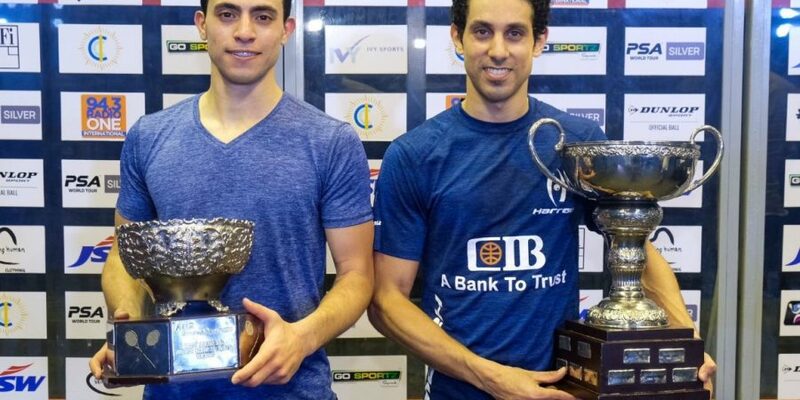 They fought each other and it was only in the tiebreak that Momen managed to get back his lead in the match as he bagged the third game, 12-10. But Dessouky wasn’t going anywhere. He attacked at the right moments and in the right places. He used his composure and fed off the crowd’s enthusiasm. The game went to another tie-break, and this time it was Dessouky who won the two winning points to level the match at two games all. And in the fifth, Momen showed what makes him the player he is. It was the slightest of differences that set him, The Viper, apart from Dessouky. He had found his edge and didn’t give into any frustration, which he channeled into his game instead. They leveled at 7-7, but Momen was unrelenting. His power on the ball, his stamina, his unmatched ability to recover to the T with lightning speed… he kept it all going till the end. 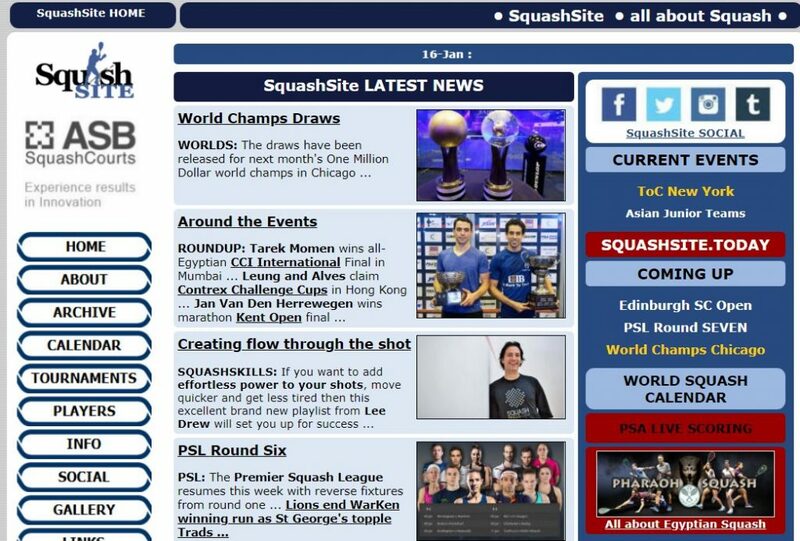 He took the game and the match, winning his 6 th PSA World Tour Title here in Mumbai.